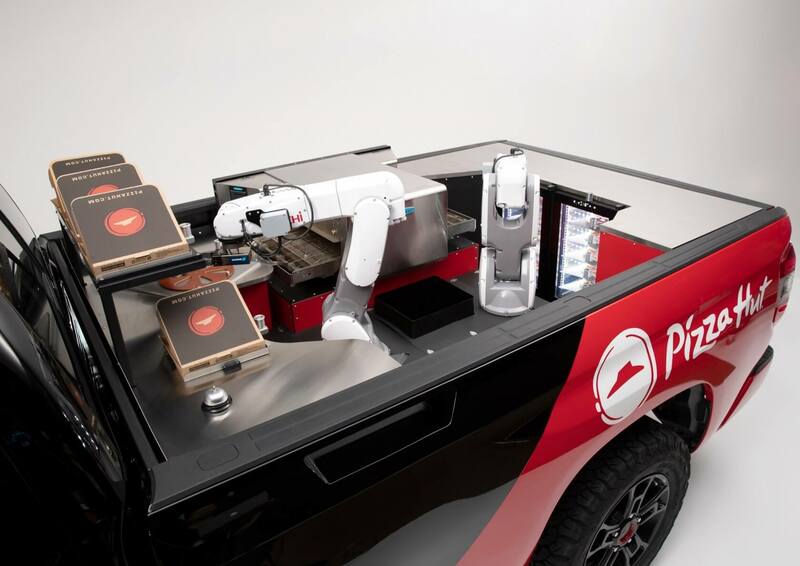 Next is going to be fully robotic self driving Pizza Hut Van and Robotic Pizza Hut Delivery people will bring your pizza to the door nice and hot. You know this is coming soon. Might be 2030 for that to happen. So it's a Food Truck? 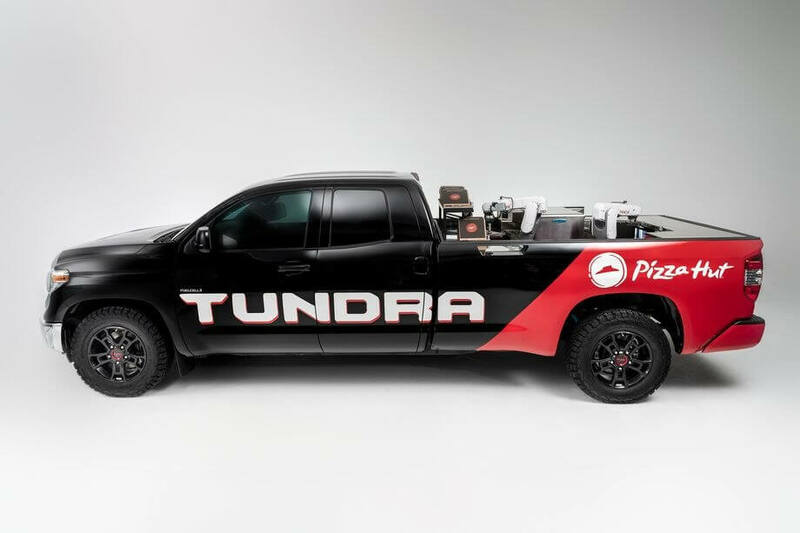 Uh, we've had vending machines for a couple years that can bake a pre-made pizza just like this truck does. Meanwhile, Japan has machines that can actually put everything ON the pizza before baking it. This will remain a concept. Or people will make it history, before they can blink good. For one it is a truck and will be impossible to keep clean of insects and dust. I would never buy from one of these. It is bad enough buying from an enclosed kitchen. We've had ice cream trucks for years.... Why not pizza trucks? The pickup truck platform just doesn't make sense in this application if automated, the whole cab is just wasted space. You can however easily put a cap on the bed and have that nice and sealed from the elements, but in reality this concept won't ever get past that stage. A van platform, which already have hydrogen powered solution available, would be the most logical choice for such an autonomous food delivery vehicle. But in America, the land of the pickup truck, this concept would get more attentions and perhaps have a higher chance of getting beyond just the concept stage.